We can also provide you with Bubble Wrap, Packaging Tape and Mattress Cover for your upholstery. But no matter if you choÐ¾se to do your own packing or want us to do it for you, the thing you should start with is what from your old stuff do you want to bring to the brand new home and what is better thrown away for good. So before you begin the complicated process of moving out you have to figure out what to take along. Try sorting which ones of the furniture and appliances would you like to leave behind as your new housing will probably have some on its own. So unless you have a strong emotional attachment to your refrigerator or vacuum machine you can sell them on a local outlet or organize a garage sale. If your furniture is too old and worn out you can just donate it or give it as a present to family and friends. Of course, there are going to be some items you want to keep. Such are usually photos, books, jewelry, and art. Neatly wrap them in boxes where they’ll wait for the arrival of our removal team to take them to your new home. In order to make the time spent deciding what to take and what not more pleasant, be sure to play some fun music in the background. There is always the option of recycling old stuff and trying to turn it into something beautiful and new. This is most often possible with smaller items, which can more easily be altered. 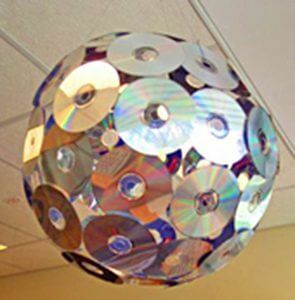 Old CDs and CD cases? No problem! With a touch of imagination and creativity the CD’s can be magicked into bike reflectors for your children or a shiny spinning top for them to play with, driveway guides when mounted on posts or reflectors on trees and of course there is always the possibility of braking them, then spray them with some colorful paints and re-arrange them into an art piece. 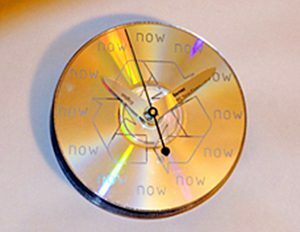 The more handy ones can turn them into extravagant clocks. ontainers.Â Also, when packing before moving out to a new home be sure to mark the moving boxes. You’ll surely need your toothbrush, pajamas, and coffee or tea mug more urgently than an old t-shirt from college. If you’re planning on moving the whole closet be sure to order in advance some of our Wardrobe Moving Boxes. When you get them just take your clothes as they are on the hangers and pack them in the box. It will feel like your wardrobe has wheels.Â These are some of the basic things you should do before moving out to a new home. Take what’s best from the past and enthusiastically welcome the future. 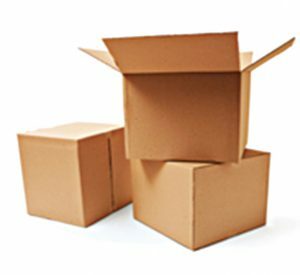 Be sure to always have in mind that if you do not have the time to pack or unpack on your own our Full Packing service is available to you 24/7. You can also take advantage of our Self Pack service if you insist on doing the packing yourself.